A timeless and romantic ghost story that will haunt readers long after the last page is turned. When Callie's life is cut short by a tragic accident in her hometown of Charleston, South Carolina, her spirit travels to another dimension called the Prism. Here she meets a striking and mysterious ghost named Thatcher, who guides her as she learns how to bring peace to those she left behind. But Callie soon uncovers a dark secret about the spirit world: some of the souls in it are angry, and they desperately want revenge. These souls are willing to do whatever it takes to stay on Earth, threatening the existence of everyone she ever cared about. Perfect for fans of Gayle Forman's If I Stay and Lauren Oliver's Before I Fall, this thoughtful and suspenseful novel will have readers eager to read the sequel, Dust to Dust. 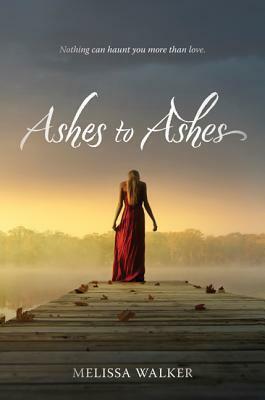 With Thatcher at her side, Callie watches in agony while her father, her best friend, and her boyfriend mourn her--and she's not sure she wants to help them let her go; she may be invisible, but she's still here. However, as Callie desperately tries to make contact with the people she left behind, she uncovers a dark secret about the spirit world: The angry souls that always populate ghost stories are real, dangerous, and willing to do anything to stay on Earth, threatening the existence of everyone she ever cared about. When she fights to save them, Callie will learn that while it may no longer beat, her heart can still love--and break.